I Will Climb A Mountain – Because I Want To! Every time I look at the distance we as women have travelled, every time I look at the difference between past and present which is so stark and glaring, I am filled with a sense of pride. And I am sure every woman today would be too. There was a time we struggled for basic needs and rights like education, though that fight is still on in many unfortunate places in the world; it is safe to say that we have come a long way in terms of access to fundamental rights as a norm to women. Then came a need to stand up for ourselves and be a contributing factor to economy and society at large, a passion to prove and even flaunt our worth as intelligent and cognizant beings equally good at being professionals. Wait a minute, but what happens to the inner ‘person’ in all this struggling, working hard, proving and what not? What happens to her dreams as an individual? Dreams that have nothing to do with showcasing something to world, dreams which are just for one’s own joy? Even if there happens to be a showcasing, it is merely a by-product and not the main inspiration? Females never had time or luxury to think about such dreams. We are on the cusp of an era, thankfully so, where women have the freedom and capability to have personal goals and achieve them. 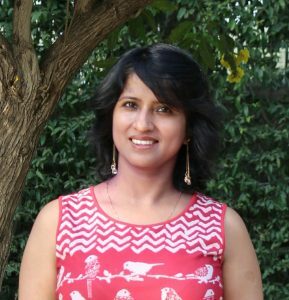 Meet Deepa A Krishnan, a CA by profession with 14 years of work experience with biggies of the industry like the Oberoi Group, Ferguson, Max India, GE, American Express behind her, a simple Indian woman and a doting mother. She opted to be a full time mom after her son was born, though a conscious decision, it came with its own set of confusions and uncertainties. 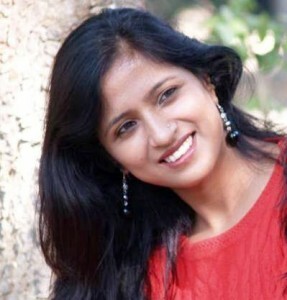 Always into fitness, yoga, aerobics, gymming ever since college, Deepa took to running while on sabbatical. More of an introvert, she decided to make use of ‘her’ time and space by running as a solitary runner. This led to her joining events, groups and marathons later which motivated her to raise her fitness level. She’s been running for 3 years now and is amazed at her progress from not being able to run for than a minute to running half marathons and full marathons (42 km). Her daily average running is 8 km that goes up to 25 km on weekends. As if a prelude to her long-cherished dream, running and fitness inspired her to push her for more! She had always found adventure interesting and though she never actually sat and planned for it, she went for Everest Base Camp Trek with a family member (another female) in May 2012. The South Base Camp trek is in Nepal in the Sagarmatha region. They reached Kathmandu and from there flew to a place called Lukla from where the trek starts. The terrain is extremely rocky and there are no motorable roads. The only way to reach supplies to these areas is through human porters or yaks. Base Camp is the point where all the Everest climbers rest and stay for days to acclimatize. It is at a height of 5364 m (Mt Everest is 8848 m) which is about 17,598 ft. Thrilled with the experience, she repeated it in May 2014 with Annapurna Base Camp this time. Again in Nepal but in a different region (Pokhara region). Base camp is at a height of 4130 m (Annapurna I is 8091 m). “Both these mountains are among the 10 highest mountains of the world”, she informs me with an unmistakable twinkle in her eyes. “It was fun to be only two women who had ventured alone without tourist guides. We are not mountaineers, so the experience showed me what I am capable of! It was a very fascinating time of my life as I was by myself for 14 days and there was a lot of introspection that went on, apart from immense appreciation for nature. I felt there is so much more to life than we realize by skimming on the surface. The whole episode was very humbling to say the least. I felt like but a speck in the whole plan of the universe. Bonding with my companion was an added bonus. And yes, I am very happy to be back safe and sound!” Deepa says. But who wants to convince people, I think to myself, smiling. Isn’t it heartening that women are waking up to their inner joy and power and taking their lives by the horns? With understanding families and conducive social atmosphere, women have to begun to see themselves more than just “supporting characters” and take the lead! Now, who would have thought our of grandmothers or mothers dropping everything and going off to trek or bungee jump just because they felt like it! More power to women, I say!